Molding clay comes in a plethora of types, colors and styles. It can be bought pre-made or made using very few ingredients. Molding clay has been used to make small or large sculptures, business models and pottery since ancient times. Molding clay is made from natural minerals bound with water that is later dried into a shape by time or by firing in a kiln. There is no historic text that tells us when molding clay was first used and invented. Some text points to Tuscans as the first to use clay but others point to Alexandrians as the first to produce clay pottery. However, one of the earliest artifacts found happens to be a drinking vessel made of sun-dried clay, which is dated to pre-historic times. With archaeology's advancements, more artifacts will be found to determine when molding clay was really first used by humans. Clay tablets were the first type of writing medium used by humans that used a reed as a stylus to write cuneiform script on. Cooking pots, art, dishware, housing and musical instruments have been made with clay throughout history. There are numerous types of molding clay, from the inexpensive made-at-home variety to the manufactured expensive fine-grain type. There are molding clays for kids as well as for adults that are nontoxic and never dry out, and kinds that are made specifically for firing in a kiln. These molding clays can come in different colors, various size bricks and also in single containers or in packages containing several bricks of clay. Molding clay has been used to make bricks for housing, sculptures of fine art, pottery, business building plans, musical instruments and for small objects like smoking pipes. The clay can be used to make the final project or to represent an idea of what the final project will look like. A business that wants to make building plans for future housing may use molding clay to create a miniature version of what the plan will look like. Some sculptors will make a small version of the larger sculpture with molding clay to get the right dimensions for a larger piece of work. 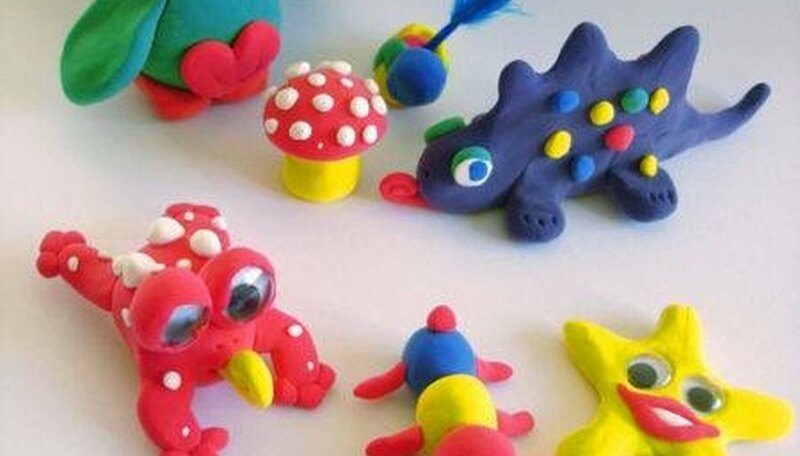 Cheap versions of molding clay can offer hours of entertainment to kids who can create just about anything they want in a variety of colors. The use of this clay gives kids a good sense of motor skills and also a sense of hands-on work. You may wish to consider making your own molding clay instead of buying it. Flour, water and salt make a firm clay. The base is the flour, a small amount of salt and drops of water are stirred together, which will form a solid ball-like mass. This clay can be used to shape art, items or model plans. Food coloring will give you different colors or you can paint it after it has been formed and dried. When buying molding clay the package should be read before purchasing as you will want to get the correct clay. Some clays are nondrying and are never to be fired because toxic gases can be emitted. A few clays are made specifically for firing pottery in a kiln, for ceramic pieces or just for kids. If the molding clay is for children you should make sure that on the box it says it is nontoxic and made specifically for children.